Aquatic Media Press is an independent publisher based in Rochester, Minnesota founded in 2018. 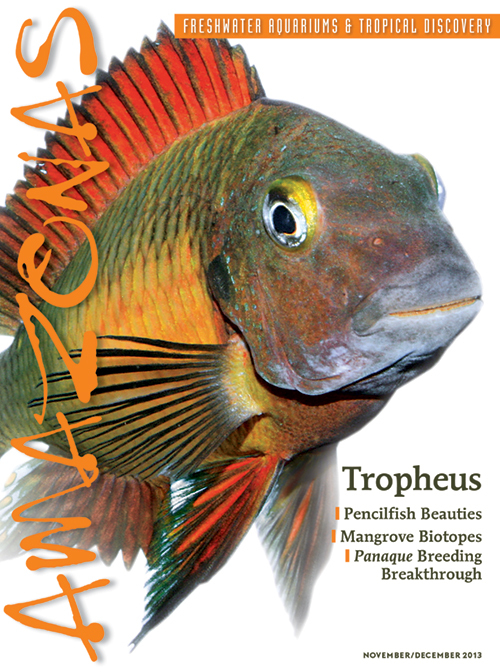 • AMAZONAS is the world’s leading freshwater-only aquarium magazine. Available in high-quality print and digital editions, published six times per year, bimonthly. Readers look to Aquatic Media Press for in-depth, authoritative, cutting-edge edge, trustworthy information and inspiration. They rely on us to publish the work of experts and people who know their subjects. Hands-on advice on selecting and keeping aquarium fishes, invertebrates and plants is enhanced with reports on aquaculture, environmental issues and pioneering work in aquarium technology and marine science. 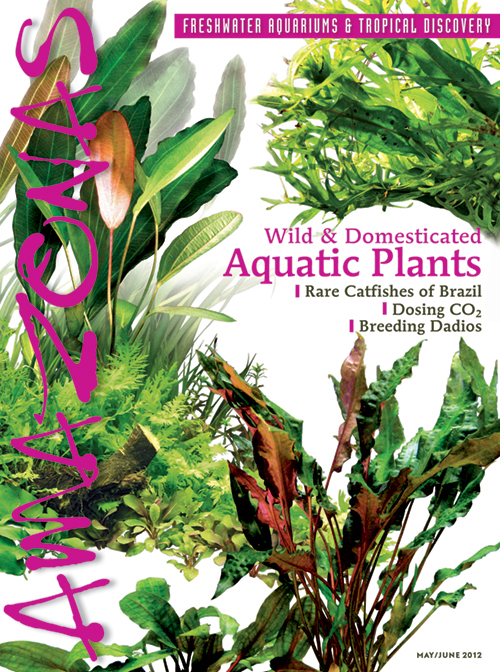 AMAZONAS Magazine is published in German editions by Matthias Schmidt and Natur und Tier-Verlag, Münster, Germany, and is published in English under exclusive worldwide license to Aquatic Media Press, LLC. The content appearing in the English editions is a combination of material translated from the German and original works published by Aquatic Media Press in Minnesota. The English-language edition of AMAZONAS is edited, designed, and printed in the United States. Aquatic Media Press, LLC, is an independent publisher founded in 2018 based in Rochester, Minnesota. AMAZONAS is distributed by subscription and single copy sales in the United States, Canada, the U.K., Australia, Scandinavia and throughout Europe. Digital editions of the magazines are read in more than 100 countries. The content of AMAZONAS originates from a global network of writers, photojournalists, underwater photographers and freelance writers. To have written work considered for publication, authors are advised to follow these guidelines. 1. Read the magazine. Familiarize yourself with the scope of the content, the writing styles, the use of photography, and the level of publishing quality that the magazine sets for itself and its writers. 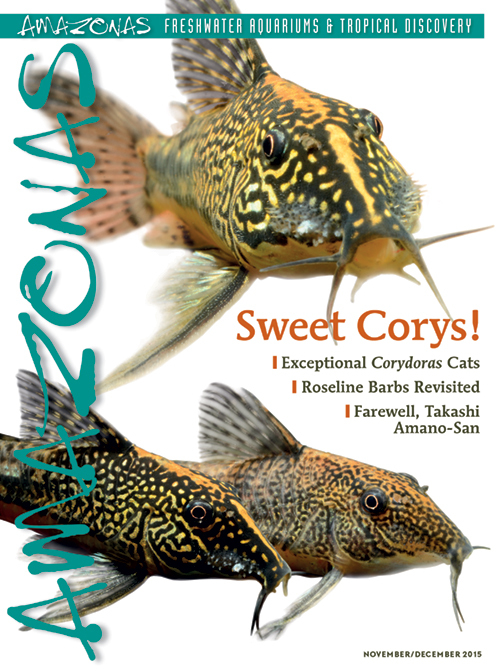 Our magazines are available at better aquarium retail shops in the English-speaking world and at Barnes & Noble bookstores in the United States. Back issues can be ordered from our shopping website. 2. Prepare a query to the Editor describing, in brief, your proposal for an article or articles. Be sure to include your qualifications for writing the article. Other inclusions in a query might include: a small selection of your low-resolution images available to support the article; an introduction to the proposed article; samples of your published work. See Image Submissions for additional information about supportive photography/graphics/artwork. We prefer to see a written electronic query first. Send a brief email message and brief idea proposal to the Editor, including any relevant attachments in Word (.doc | .docx) or PDF format. Sample images should be low-resolution jpg files and may include protective watermarks. 3. Submit only your own original work. When quoting another author or source, be sure to clearly identify the source. Authors will be asked to warrant that any work submitted is their own and does not infringe on the copyright of any other writer. We will attempt to respond to your query within three to four weeks. If you have not heard from us after four weeks, feel free to send a reminder email. If a story proposal is accepted, you will receive a Freelance Contributor Agreement to be signed. In most cases, an author will work with an editor and be asked for one or two rounds of editing and rewriting. Upon completion and once all required art and images are in house, the work will generally be published within three to six months. 3. Do not send articles or images without first communicating with an editor. Unsolicited article submissions are generally discouraged. We assume no responsibility for returning anything included in an unsolicited submission unless a postage-paid return envelope is supplied. 4. See our Editorial Style Guidelines below if you have any questions about submitting written work. The photographic content of AMAZONAS is primarily submitted as part of complete packages of text and art from authors and photojournalists. However, we are always looking for world-class underwater and aquarium imagery. To have photographic work considered for publication, please contact the editor and provide a link to your portfolio of representative images. Alternatively, send a selection of low-resolution images and introduce yourself. Important: Images should be the original work of the photographer or author. If you are submitting one or more images from other photographers, these must be clearly identified in the file name of each image and the editor must be informed in writing that third party work is being submitted. Submission of anonymous or Creative Commons/Wiki Commons images by other photographers is discouraged. In selling an image to the publisher, the photographer will be asked to warrant that the image is his or her own original work. 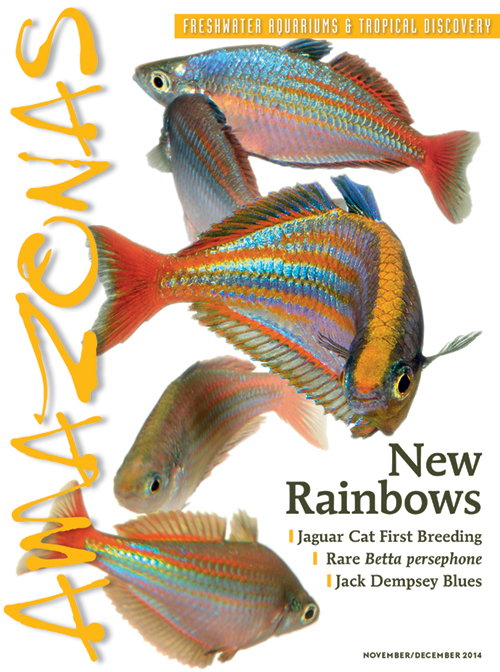 AMAZONAS Magazine typically acquires the rights or license to single use of an image with a specific article to appear in print and/or online in digital editions and digital excerpts on the publisher’s website, and may appear within present and future marketing materials related to the article and/or issue, and the title as a whole (examples include social media announcements of the issue, back issue sales and so forth). There is no time limit set on the rights to publish an image as agreed upon in the single use license. Minimum 300 dpi @ 10-inches (25 cm, 3000 pixels) in width, proportional height. No watermarks on images for publication. To submit hi-resolution images in groups, contact the Editors for a Dropbox link. Writers interested in blogging for AMAZONAS are welcome to contact us with a proposal. Send a message to the editor or senior editor and we will send a contributor’s manual and request that you provide a sample post. A typical blog post runs from about 250 to 1,000 words and will include at least one image, but our contributors often include multiple images. Images for blogs need only be standard web-resolution. See Image Submissions for additional information and general guidelines regarding author-contributed images. All blog contributors will be furnished with a detailed contributor manual outlining additional specifications and providing step-by-step training information regarding “how to” create and submit digital blog materials. Typical blog compensation is $25 per published post, including images. Payments are made quarterly and require an invoice from the contributor. See Payments and Terms below for more information. See Upcoming Events in the lower right-hand column of this site, and the Events Calendar, for examples of online listings. AMAZONAS Magazine buys exclusive worldwide rights to written works for publication in printed and electronic/digital formats in Aquatic Media Press publications in English and other languages. The author will agree not to revise and resell an article to a competing publisher for at least a period of six months. Payments range from about $100 to $600 per article, depending on length, complexity, the author’s experience, and whether or not images are included with the text. First-time contributors generally receive $300 to $350 for an article, including images. Top rates are $500-$600 for full features with images from known, recurring contributors. AMAZONAS Magazine buys single-use worldwide rights to original images that are intended for publication in printed and electronic/digital formats. “Single usage” restricts the use of an image or group of images by the publisher to a single article, in print and online, and the promotion of that article, the issue it occurs in, and the title as a whole. In other words, the publisher is not buying the right to use the image in other works or in appearances without the accompanying text or portion of that text, or the promotion of the article/issue. Image payments range from about $10 to $150 per image bought individually for single usage, rate dependent on size, use and quality of an image. Typically, images bought without text are usually $25-50 for one-time use (print and digital), and up to $100-$150 for a cover. Packages of images on a single subject are bought at prices typically ranging from $100-$300, again dependent on number of images, quality of images, and their use in published materials. Payment is generally made within 4 weeks of the issue being printed or published online and released to the public. Domestic payments are made by company check. International payments will be made by PayPal. 1. Electronic files in .doc or .docx format are standard. 2. The first page of a manuscript should include the title of the work, word count, the date, and full contact information for the author. Species names: In italics, Genus name capitalized, species name lower case. Common names are “up style” with caps to distinguish between a “white shark” and a White Shark. Alternate common names, if presented, are usually enclosed in parentheses. Last Name, First Name. “Article Title.” Journal Name Volume Number (Year Published): Page Numbers. Jones, Jennifer. “Summer Feeding Habits of Carcharodon carcharias.” Scary Science 7-4 (2018): 66-81. We make subscribing quick and easy, with FREE Shipping and a FULL Money-Back Guarantee. Get one full year with six big bimonthly issues for just $29 to US addresses. International subscriptions with Air Mail delivery are also available. One price includes the award-winning print edition and the FREE AMAZONAS Digital Edition and access to a large Back Issue Archive.